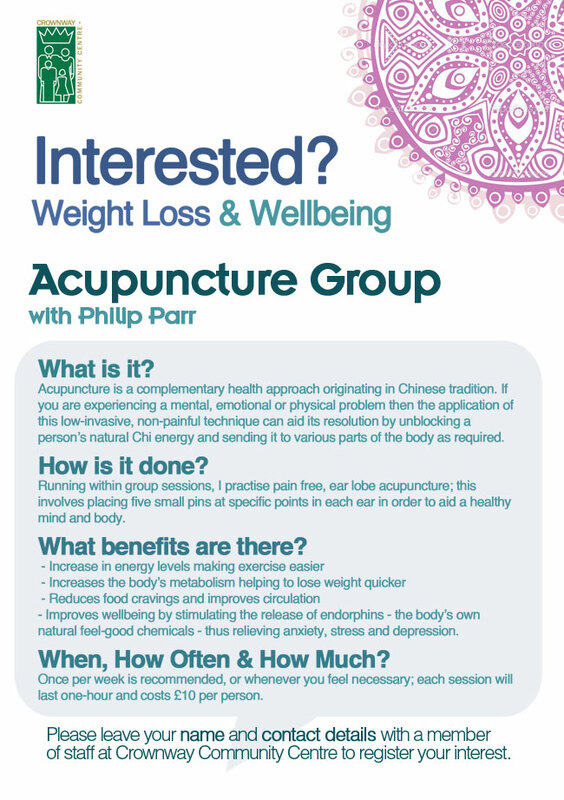 Acupuncture is a complementary health approach originating in Chinese tradition. If you are experiencing a mental, emotional or physical problem then the application of this low-invasive, non-painful technique can aid its resolution by unblocking a person’s natural Chi energy and sending it to various parts of the body as required. Once per week is recommended, or whenever a person feels is necessary. Each session lasts one hour and costs £10 per person. Please leave you name and contact details with a member of staff at Crownway Community Centre to register your interest.